Save the world … have a drink? 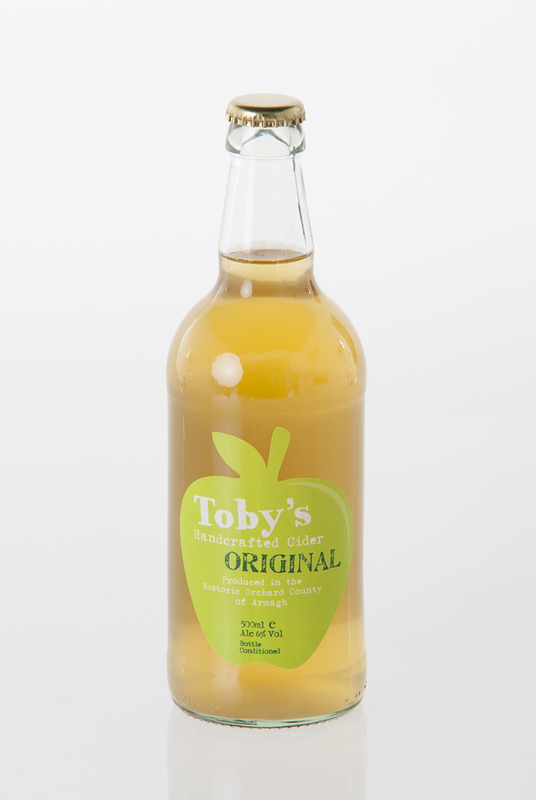 Toby’s mum and dad, Craig and Karen make great cider, so great it recently won the gold award for the best international cider at WPCS conferance in Wales . 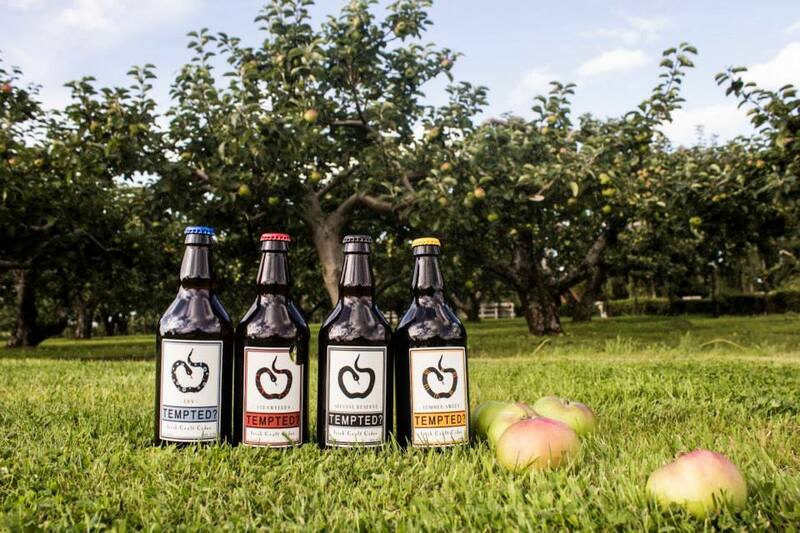 When Toby fell ill his parents wanted to give back to the hospital who had treated him and so the decided to turn their cider hobby into a business and now a portion of the profits from Toby’s cider goes to The Royal Hospital for Sick Children in Belfast and helps support children and their families battling serious illness. All theire apples come from local Armagh orchard and they use very light carbonation which helps lock in the natural flavour of the apples, and provides a delicate fizz. 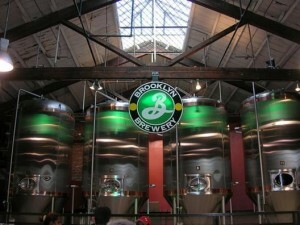 The Brooklyn Brewery is the first New York City company to use 100% wind-generated electricity; they recycle all our paper, plastic, and bottles. Moreover they recycle their spent grain into animal feed and compost. They recycle all the hot water from the brewhouse; all their cold and hot pipes are insulated with high-tech foamglass insulation. The solar panels on the roof of their warehouse provides about 1/3 of their total power needs. They even use compostable cups in their tasting room. 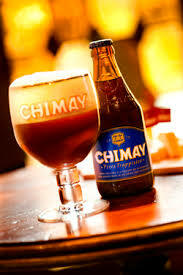 Chimay is an authentic Trappist beer. That means that it is brewed within the walls of a Trappist monastery under the control and responsibility of the community of monks, and whose revenue is devoted to social service such as health and education projects. Chimay Blue is full of rich flavours and has lively carbonation it is low in bitterness and has a delicious spicy alcohol finish. So many bubbles, so much choice! When we think of sparkling wine familiar names spring to mind. Champagne, prosecco, cava are all fantastic examples of sparkling wines with wonderful reputations and ones which I’ll admit I have quite a soft spot for. So for this drinks selection on TV3’s Late Lunch I though it would be nice to broaden our sparkling horizons and try 3 new world sparkling wines just to mix it up a bit. All three wine use traditional champagne grape varieties ( chardonnay and pinot noir) and are either fermented in the traditional method, meaning second fermentation ( the one the makes the bubbles) happens in the bottle, or second fermented in tank. Obviously the traditional method requires more time space and skill so commands a higher price tag than the more hands off larger scale tank method in which the second fermentation happens in pressure controlled stainless steel tanks. The traditionally method produced a finer mouse with tiny bubbles. The tank method is considered a little less refined but still can produce very drinkable and affordable sparkling wines. The fizz of choice on Home and Away! Its a little trickier to find, Next door off-licences carry it and a few other good wine shops. It’s been used in the inaugurations of both Nelson Mandela and Barak Obama! I’m blaming the sunshine for this weeks drinks topic. That and the fact that I have a summer cold. A summer cold is one of those anomalous things, a seasonal mismatch. I imaging people who grew up in the Northern hemisphere feel similarly about celebrating christmas at the height of southern hemisphere summer! I know well how to make myself feel better in dreary November; lots of tea spiked with honey, ginger and whiskey usually does the trick, strictly prescribed hot water bottles, slippers and some of those posh balsam tissues and regular doses of over the counter remedies. In June and in this heat wave I find myself all at sea; never one to mope around I just had to figure out other ways to make me feel a bit better and so I though of vitamin C packed lemons and that made me think of lemonade: homemade, honest, lemonade. Cold or no cold, I love this time of year especially when the air is heavy with blossoms and the sky is blue. This is perfect lemonade weather and jam-packed with immune boosting cold thwarting vitamin C it’s just the tonic. It is also a delightful alternative to commercial fizzy drinks and is a delicious children’s treat. 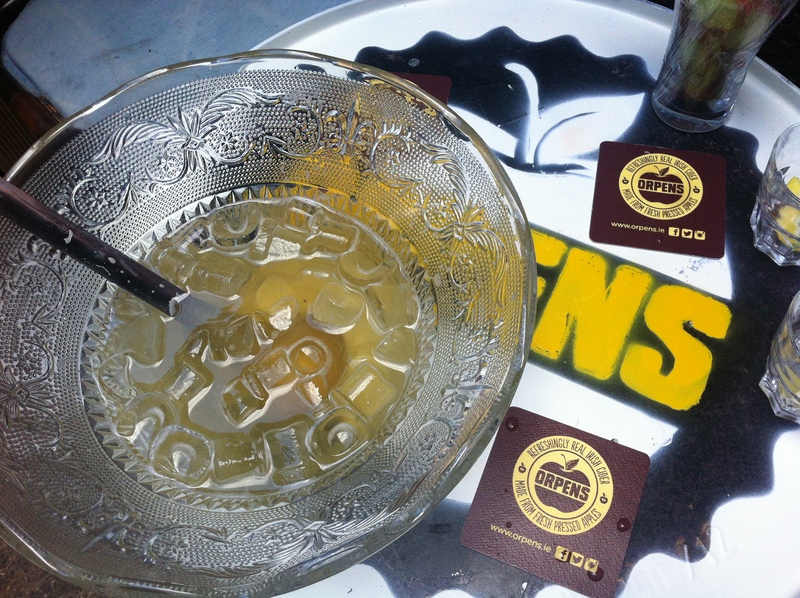 I make up this lemon concentrate and keep it in the fridge and then add still or sparkling water when serving. You can also make a much more grown up version by adding a splash of vodka or top it up with sparkling wine or even ice cold beer…. yum. 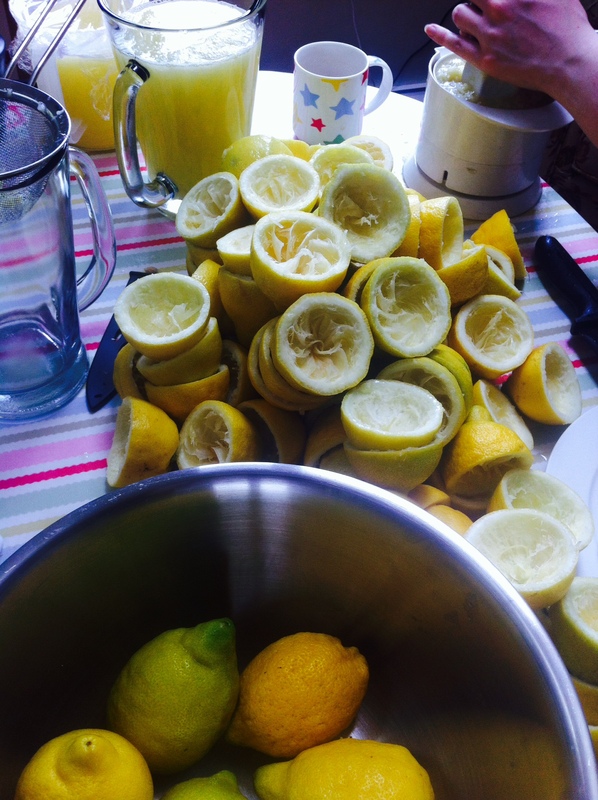 It only takes a few minutes to squeeze the lemons, you have no excuse! 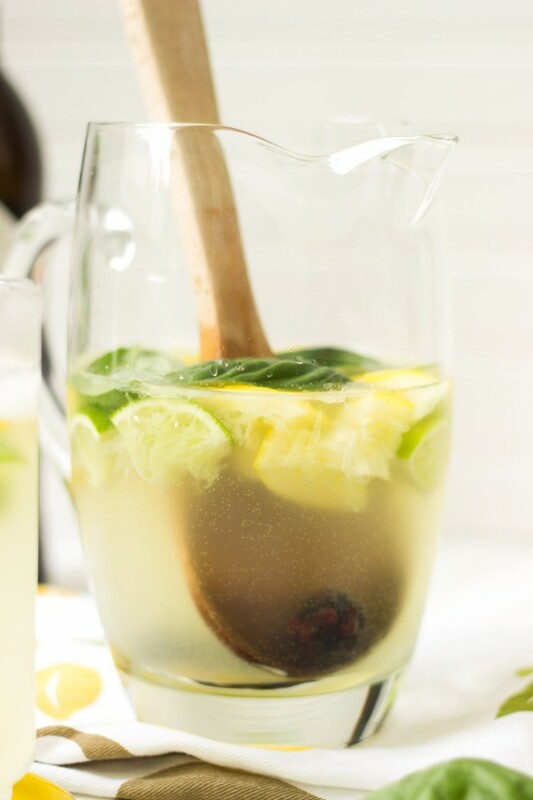 Mix all ingredients together in a large jug filled with ice, or mix the lemon juice with the simple syrup and leave it in the fridge and add still or sparkling water or sparkling wine when every you want some. A couple of years ago I spent a month in Savannah Georgia. Savannah sighs in the sunshine and is all sundowners on verandahs while curled up on porch swings sipping never-ending sweet tea. Considering we have such a love of tea in Ireland I find it hard to believe we haven’t embraced ice tea, and not the pre bottles sugar laden variety. Below is my recipe for perfect ice tea best served fresh brewed but will keep for a few days in in fridge. I adore tea in all shapes and forms but my go to everyday tea is Barry’s Gold blend. I love Barry’s tea so much I’ve bought personalised boxes of tea for all my family. I’m also a big fan of the fact that it is blended in Ireland by master tea blender Denis Daly and has a history of tea blending since 1901. Obviously tea doesn’t grow in Ireland but Barry’s is really the closest thing we have to a truly Irish tea and check out their website for tea related gifts they have a great range of “TEA”- shirts! 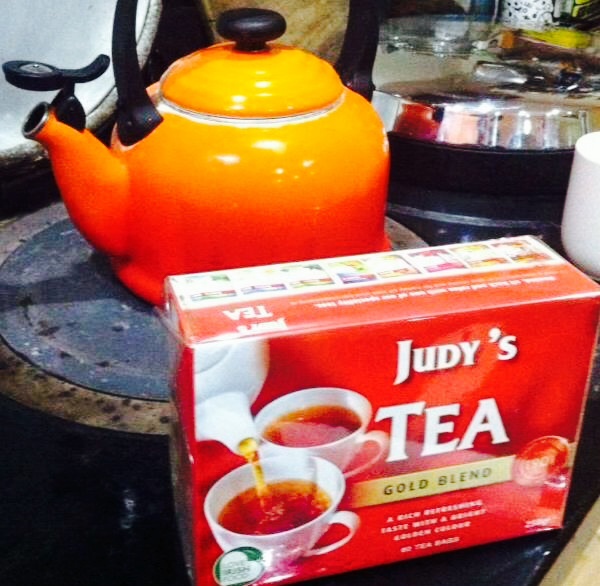 It’s not Barry’s Tea, it’s Judy’s tea! I like my ice tea not too sweet and with some mint and lemon. It’s also great with a slice of orange and a dash or two of whiskey or bourbon or if you are one for milky tea why not try it over vanilla ice cream? 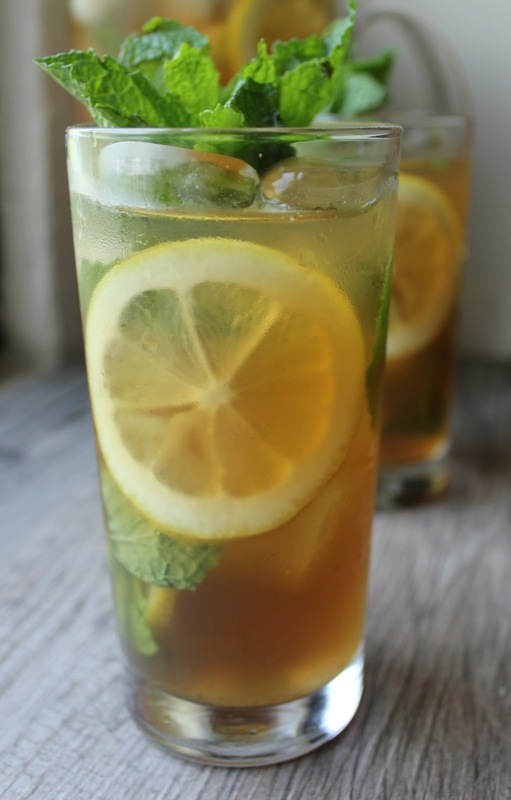 delish with some lemon and mint! I add the sugar while the tea is still hot so it disolves. Then if I have time I let this get cold, if not I pour it straight over lots of ice to chill it and add mint and lemon…yum! Beer o’clock? more like beer o’cocktail! The world of beer cocktails is pretty new to me. At the Alltech International Craft Brews and Food Fair earlier this year I tasted a couple of JW Sweetman’s concoctions which didn’t rock my world. But the week before last I tasted a really fun take on a French 75 topped up with Blue Moon Summer Honey Wheat rather than champagne at House in Dublin made by Des McCann and this got me thinking about beer cocktails again. I think the trick is not to be too fancy and to work with flavours that you know go together so I came up with this recipe below. Ginger beer is a classic old school drink that I have often made at home. My grandmother used to make it for me when I was little and I was enthralled by the ritual of feeding the ginger beer plant and the magic of fermentation that results in bubbles. This take on ginger beer lets someone else do the brewing for you and the ginger and lime and beer combination is super refreshing! My resident beer sommelier suggests Carlsberg is a good easy to get macro brewery choice, Peroni brings a little more citrus to the party and grolsch would be a good choice too! Mix lime juice and ginger with the syrup, strain over ice and top up with beer! Disclaimer: I taste lots of drinks at trade events and I am always looking for stand-out great products with interesting stories that I can pass on to you lovely readers and viewers. Along side theses tastings I also buy lots of things that tickle my fancy. I taste and select the products I want to feature on Late Lunch and here on my website. For or the purposes of my television slot, I request product samples to use on air. I aim to maintain my objectivity, I am guided only by my taste buds and I am not paid to endorse particular products. World Gin Day… another date for you diary! Does a week go by when it’s not international or world something, something day? Clearly these things are a bit of a marketing ploy but I’ve found they are a great focus for my drinks segment on Late Lunch. If something is in the public consciousness then it makes sense to hop on board with that theme. World sherry week was a great example this I loved how sipping a glass of fino connected you to lots of other sherry lovers across the world and fostered a sense of community both in real life with plenty of tastings and online too my time line was flooded with sherry tweets, there was even a dedicated twitter sherry tastings which sadly I found out too late to partake in, but I’ll be keeping an eye out for next year’s one! 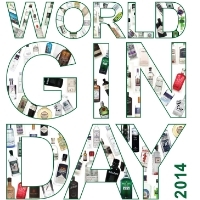 So what next on the drinks calendar well as luck would have it next Saturday June 14th is world gin day! 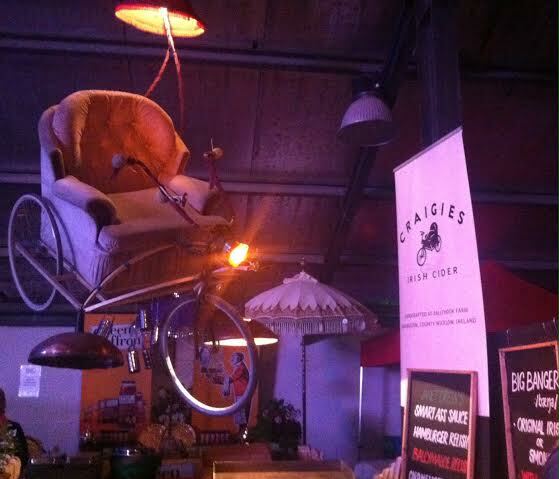 If you happen to be in Dublin The Gin Palace is the place to be for all things gin on Saturday. 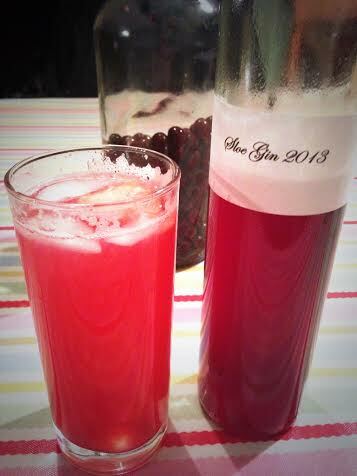 In advance of this auspicious date I started to think about gin… and what a pleasant topic that really is. Let’s start with the basics: gin is a classified as a juniper-flavoured spirit made not via the redistillation of botanicals, but by simply adding approved natural flavouring substances to a neutral spirit of agricultural origin. The predominant flavour must be juniper. Distilled gin is produced exclusively by redistilling neutral spirit (ethyl alcohol of agricultural origin with an initial strength of 96% ABV) in stills traditionally used for gin, in the presence of juniper berries and of other natural botanicals, again juniper is the predominate taste. I really like gin as it has such dept of flavour and there is a great opportunity to for the distillers to compose a complex and interesting spirit by playing with various botanical. Recently I had a fascinating discussion about gin botanicals with Sarah Thompson who makes Blackdown Gin and the cracking Blackdown Vermouth in Sussex. This is one incredible lady with the most amazing ability to compose flavours and understand the fine balancing act of making a great gin. Sarah loves silver birch and so uses it in her drinks to wonderful effect. Silver birch can be tapped much like maple trees and the sap can be collected and reduced to produce a syrup. I know this as my Dad did it once to the silver birch in our front garden (that was the kind of house I grew up in.) Be warned before you try it: birch seeps lots of sap and you have to really boil it down to get delicious syrup which can be quite the labour of love! Take the easy way out and find some delicious Blackdown Gin instead. Combine it with their Bianco Vermouth to make the most sophisticated and taste bud tingling martini I’ve ever enjoyed. If you happen to be visiting Imbibe Live in London next month Blackdown Spirits will be there; they are not to be missed. So on to the gins I’m trying with Lucy and Martin on Late Lunch this week. This is one of only two gins made in Ireland. I have yet to visit the distillery by my friend David over at LiquidIrish has blogged about his visit and it’s well worth a read, his pictures are gorgeous too! 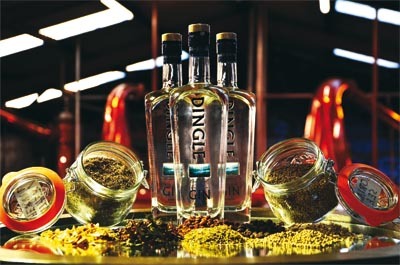 This gin is made with botanicals specific Dingle, the gin is striving to capture the spirit of where it is made similar to the way great wines reflect their terroir, so along side a secret recipe of botanicals you’ll find rowan berry from the mountain ash trees, fuchsia, bog myrtle, hawthorn and heather for a taste of the Kerry landscape. This is one of my favourite things that my sister makes, ( well actually I love all the things she makes, we tasted some of her elder flower fizz on Late Lunch couple of weeks ago) Judy gifts it at Christmas to lucky relatives and close friends. 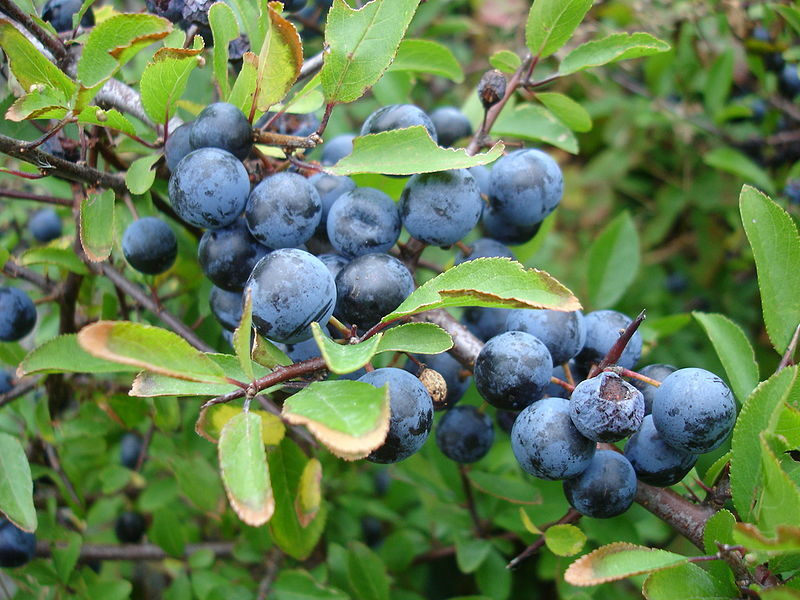 My cousin Macdara calls it “fast” rather than sloe gin because it disappears so quickly! Judy won’t give me her secret recipe to post here but Jamie has a good one if you want to make your own. We serve it over ice with a squeeze of lemon and either soda or tonic water. This is just such a fun idea I had to feature it! 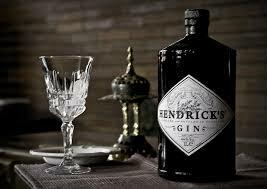 Hendrick’s Gin from Scotland uses cucumber as one of its defining botanicals. I have long loved their quirky approach to marketing their gin and how they have made a virtue from the fact that just like cucumber, Hendrick’s Gin not to everyone’s taste. 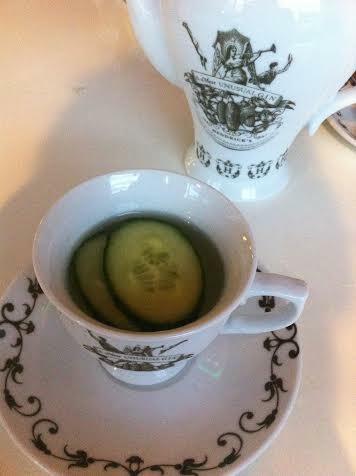 I also have a soft spot of prohibition tea-cup cocktails ( if you are in New York you have to visit The Back Room) So I love the idea of Hendrick’s tea. 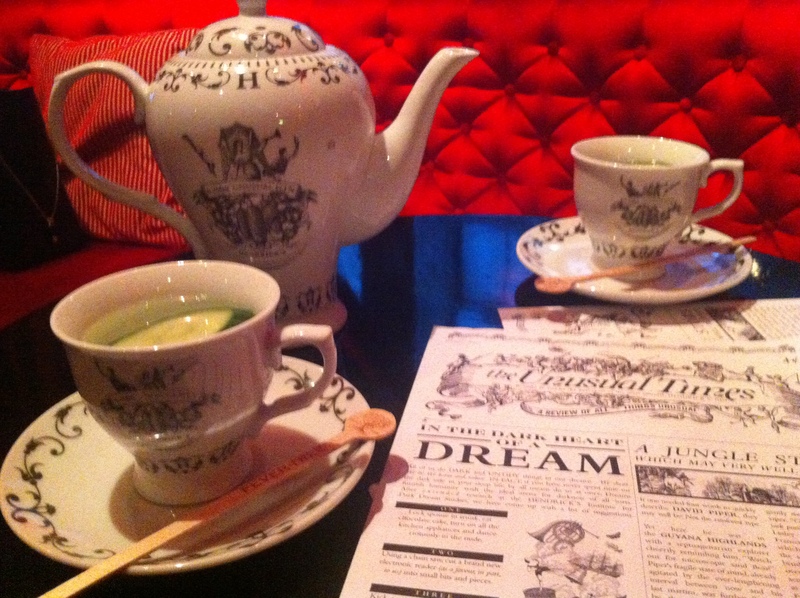 The Atrium Lounge in the Westin hotel Dublin serve a “Most Peculiar” Hendrick’s afternoon tea (replete with finger sandwiches) that’s really worth checking out. On Late lunch Live I’m serving our Hendrick’s Gin with cucumber, fab Fevertree elderflower tonic water from a lovely teapot with lots of ice! Disclaimer: I taste lots of drinks at trade events always looking for stand-out great products with interesting stories that I can pass on to you lovely readers and viewers. Along side theses tastings I also buy lots of things that tickle my fancy. I taste and select the products I want to feature on Late Lunch and here on my website and for the purposes of my television slot I request product samples to use on air. I aim to maintain my objectivity, I am guided only by my taste buds and I am not paid to endorse particular products. The wine nerd in me LOVES sherry. I adore that one region Jerez in Spain offers so many contrasting styles, such dept of flavour and packs such a tasty mouthful into each bottle. I am in awe of the care and the history and the craft that sherry exemplifies. It’s also excellent value for money, you can pick up 30 year old sherry for much less than €30. Yet I worry about sherry when I have to introduce it to other people. Sherry conflicts me. Not that long ago it lived in a place in my palate reserved for things I just wasn’t too sure of, olives, asian fish paste, the brown cheese from Norway… you get the picture, acquired tastes as my mother would put it. Each unique and brilliant in their own right but equally things that will divide many people who taste them. For every fan there is another with a wrinkled nose wondering what all the fuss is. Historically here in Ireland we have always held a sherry in high regard and Ireland was considered a very significant market for sherry. Every person I mention sherry to, has a sherry story it really it seems to infuse so many christmas and special occasions. So this week on my Late Lunch Live drinks segment, I’m going to be brave and have a live sherry tasting. I’ll admit I’m a bit nervous. I wonder if parents feel like this when they bring their kids to a birthday party? You know you child is wonderful and curious and delightful but you hope the other kids realise how unique and special they really are. Like a little girl in pigtails, and the best present this week, I’m going on a charm offensive show the sherries best side. We’re going to easy into things with a fino cocktail. Kevin O’Mahony from Barry and Fitzwilliam tipped me off on this brilliant concoction. he said that it’s drunk by the pitcher in Jerez during the Feria which is the big festival in Jerez each May. It’s basically a mojito with dry fino sherry in the place of rum. I’ve used Tio Pepe Fino Muy Sec, Palomino Fino (€15.99-ish, widely available). This fino drinks great super cold with salty delicious Iberico ham and there really is nothing like a fino to whet your appetite. A good glug transforms a risotto and gives soups a delish dept of flavour. I’m also partial to sloshing some into a big pan of mussels with crushed garlic, a spoon of butter and a handful of roughly chopped flate leaf parsley…with of course more fino on the side! In a pitcher muddle a lime cut in 1/4 with a good handful of fresh mint. This is an intense deliciously dry sherry. On the nose I got lots of burnt salt toffee, vanilla and roasted nuts this followed through on the palate with strong savoury salty umami qualities. This a great food wine and with even just a sliver of nutty parmesan cheese! This sherry has been aged for at least 30 years. Check out my sherry go to guy The Vine Inspriation for a more indepth and fact filled post! Finally a personal favourite. 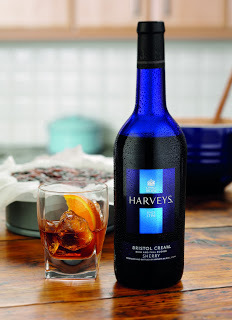 A drink more associated with an older generation of lady I hold a torch for Harvey’s Bristol Cream. I like it straight over ice with a slice of orange. If there’s any left over it’s the perfect excuse to make trifle! 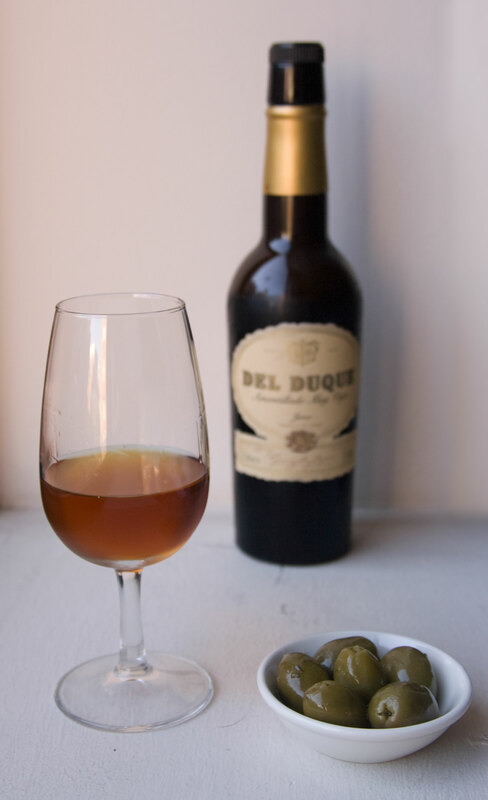 This sweeten style of sherry is sadly often overlooked but I’m quite fan! The sun is shining.. that must mean cider! It is amazing! As soon as the sun come out in Ireland (and to be honest that doesn’t happen too often) we have a pavlovian response to crave cider. I think we can thank a very well marketed commercial cider brand for that. The excellent thing about that cider is that it whetted our palates for lots of lovely artisan ciders. These crafted ciders; full to the brim with apple-y yum-ness, are incredibly delicious, work well with food and really are the closest thing we have to Irish wine. Like wine, cider is a fermented rather than a brewed beverage. There are many cider makers selecting apple varieties and blending juices with the same care an attention to detail that wine makers approach making wine, some even produce vintage cider celebrating the uniqueness of each year’s harvest. 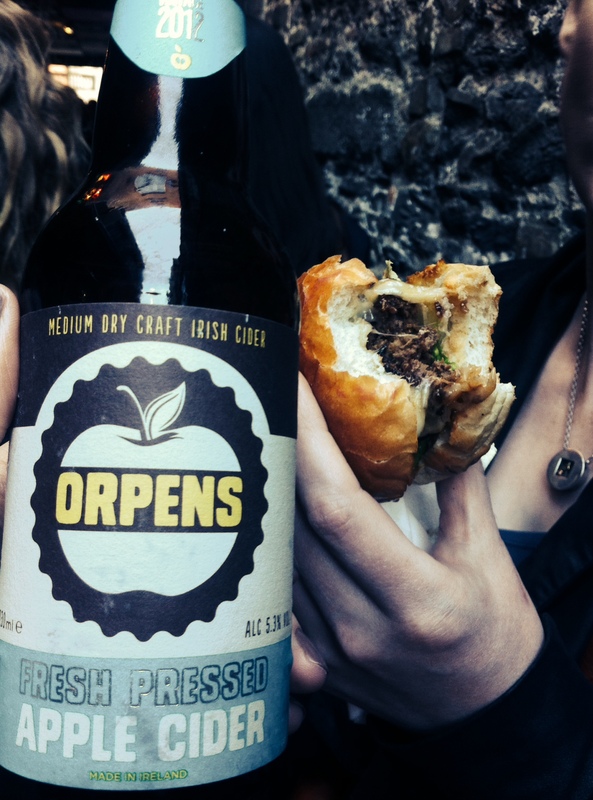 The Orpens Cider guys have a background and history in wine and there is even a wine maker making cider in Ireland. Simon Tyrrell makes very fine wine in the Rhône Valley and with Angus Craigie produces Cragies Irish Cider. Cragies produce 2 ciders in very contrasting styles, Ballyhook flyer and Dalliance. Ballyhook flyer takes its name form the original Ballyhook flyer, If the legend is to be believed the finest machine to have ever entered the Grangecon Soapbox Derby, below is a photos of it hanging in the Big Shed at the Ballymaloe literary festival of food and wine. Can you tell from the photo that it’s suspended from the ceiling? Ballyhook flyer (500ml RRP €4.50-€5 ABV5.8% ) 2012 is a made from a mixture of Dabinett, Katy, and Bramley apples, sourced from dedicated apple growers in Co.Waterford, Co.Tipperary and Co. Kilkenny. It is a crisp, fruity off dry cider with a lovely savoury note which makes it a great match for cheeses, pork and chicken dishes. Dalliance ( 375ml €4.49- €5 ABV 5.8%) is a totally different style, I like to drink it as you would a sparkling wine or prosecco, dry, fresh, crisp green apples flavours with a lovely perfumed apple blossom on toast nose.I sounds a bit of an odd description but nose it and see!) It’s gorgeous and would be a super and unique wedding welcome reception drink. It’s made exclusivly from desert apples and is left to rest on its fermentation lees for 18months before bottling, apparently it’s all set to age for up to 24 months in bottle. 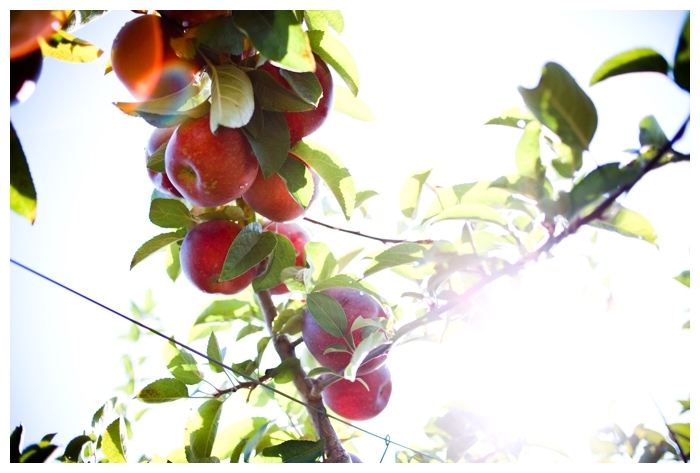 Orpens fruit is carefully selected from quality orchards that produce a balanced range of apple varieties. The apples are fermented to cider as single batches and blended together to create a signature style. The result is a complex, layered cider with an extra clean, crisp apple character and a fresh citrus-y finish. This attention to datail makes it a perfect food cider. Orpens also works super well in punch or as an alternative to sparking wine in a kir, just add a drop of black currant liqueur or even some elderflower St. Germain would be just gorgeous! Orpens punch: rum, rhubarb and orpens cider! 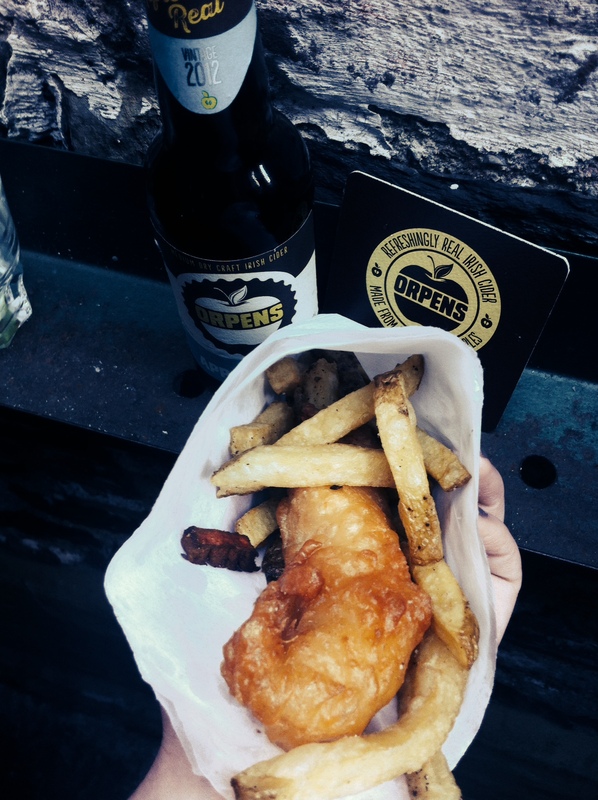 Orpens Cider with fish and chips, the fish batter was made with Orpens..making it super light, crispy & yum! From the moment I first tasted this cider at the Craft Beer and Cider festival in the RDS a few years ago I loved it. It is the perfect summer’s day cider. Crisp and sweet at the same time, Summer Sweet Cider introduces a significant proportion of Tipperary bittersweet cider apples to Tempted medium sweet cider made from Armagh’s apple crop. A generous measure of pure pressed apple juice is added to make a light, refreshing Irish cider. Winner of the Gold award 2013 National Irish Food Awards (Blas na hEireann). A family business to its core (had to use that apple pun!) cidermaker Davy’s daugther divised the snazzy branding and the packaging! Oh and if you picking up a bottle of Summer Sweet seek out a bottle of the strawberry too; it’s a taste sensation! If I was getting married I’ d go Elderflower foraging! Have I told you I love free things? I especially love free things that taste really expensive and fresh and delicious and grow right outside my window. 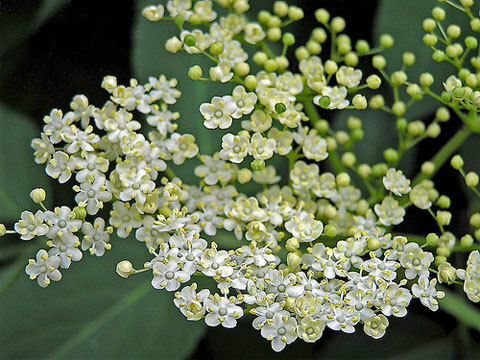 Elder is one of those things Elder is so very versatile, both the flowers and the berries are incredible useful and readily available. Big flowery perfumed elderflower is right in season. Pick it as early as you can and ideally on a dry day. So its time to grab a scissors and a basket and get foraging. Brides to be, collect elderflower! Elderflower cordial is a magic ingredient and a splash of it in any sparkling wine turns a welcome drink into a really special cocktail. Its also a cinch to make, I’ve used this recipe here year after year. I will add that if you are foraging its important not to be too gready, we have other things to eat but birds will miss out on elderberries later in the season if the elderflowers are stripped. Rule of thumb is forage up to a third of what you find and leave the rest. Now, ff you don’t fancy making your own, Check out gorgeous Richmount Cordials. This week on my Late Lunch Live Drinks I will be featuring Elderflower drinks. Lots of producers have cottoned on to wonderful Elderflower. 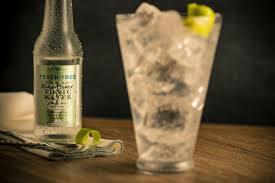 Fevertree have a super hand-picked elderflower tonic water that makes even a humble G&T extrodinary. 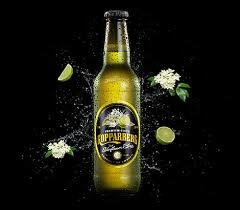 Kopparberg has a new lime and elderflower cider. I will be showcasing a homemade elderflower fizz. I used Darina Allen’s recipe from her Forgotten Skills of Cooking book. Darina published the recipe on her blog here. I was just down in Ballymaloe for the literary festival of food and wine in was so inspired that it made sense to feature elderflower this week. We’re also tasting 2 delicious St. Germaine cocktails. 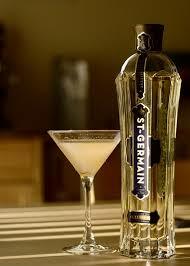 St. Germain is french elderflower liqueur that is truly yum! I’m making a Parisian Daiquiri and The Royale! Add all ingredients into a shaker with cubed ice, shake well and strain into a chilled martini or coupé glass. Garnish with a wedge of fresh lime and a small bunch of elderflower. Take a large wine glass and add all ingredients except soda water. Add cubed ice and stir well. Fill glass with ice and top with chilled soda water. Garnish with a lime wheel and a bunch of fresh mint or a rose petal!